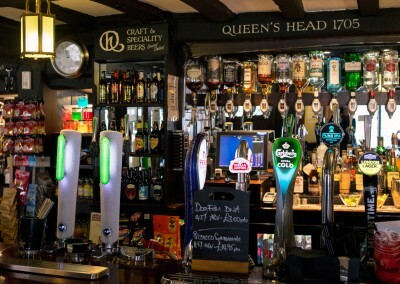 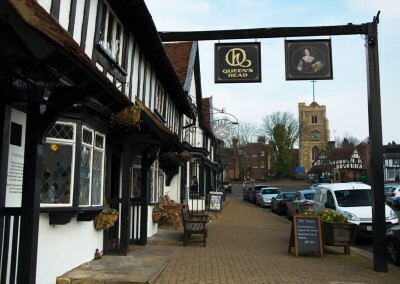 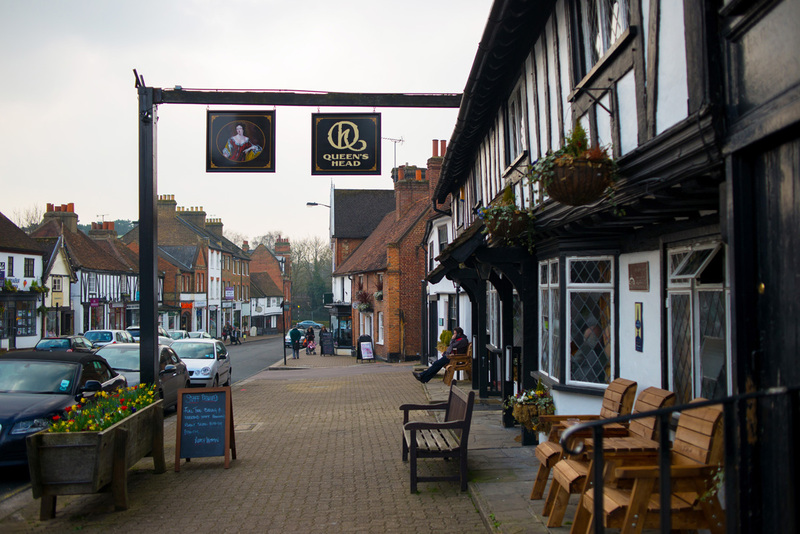 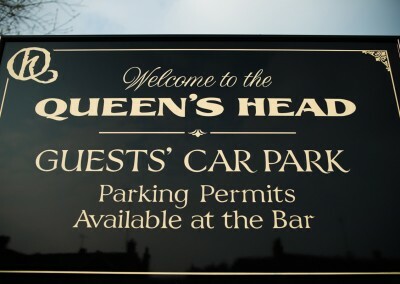 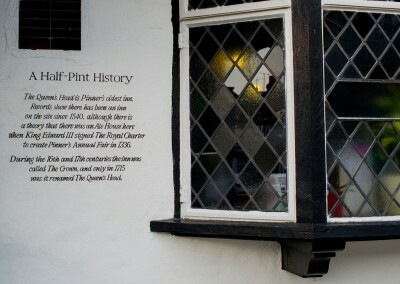 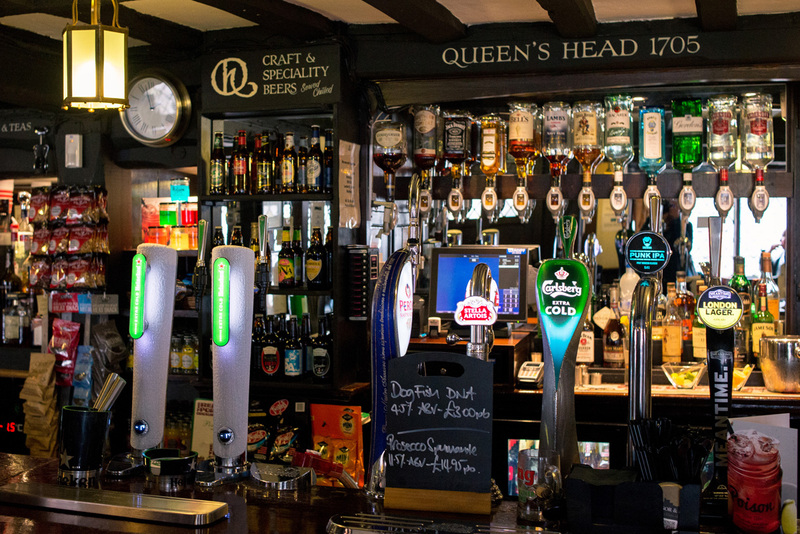 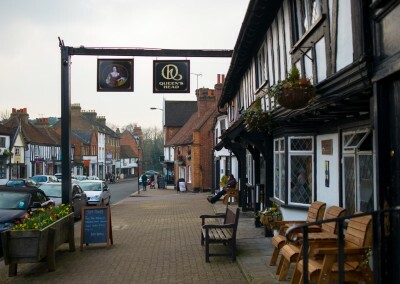 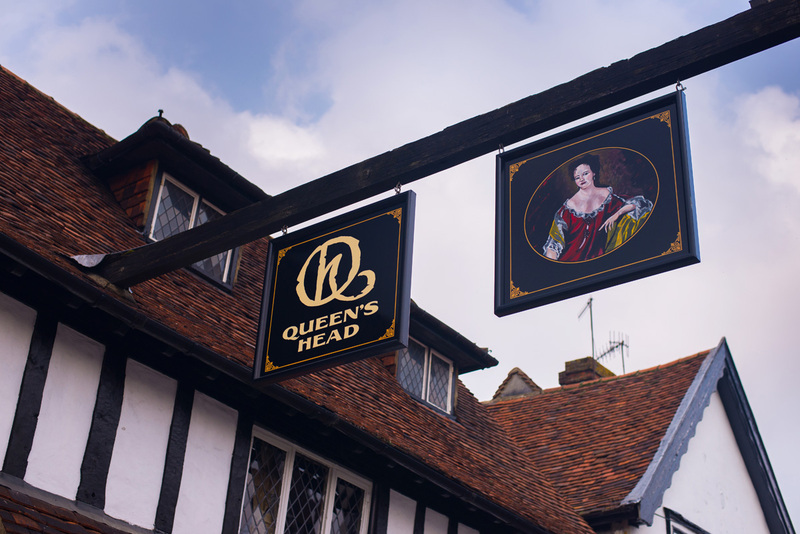 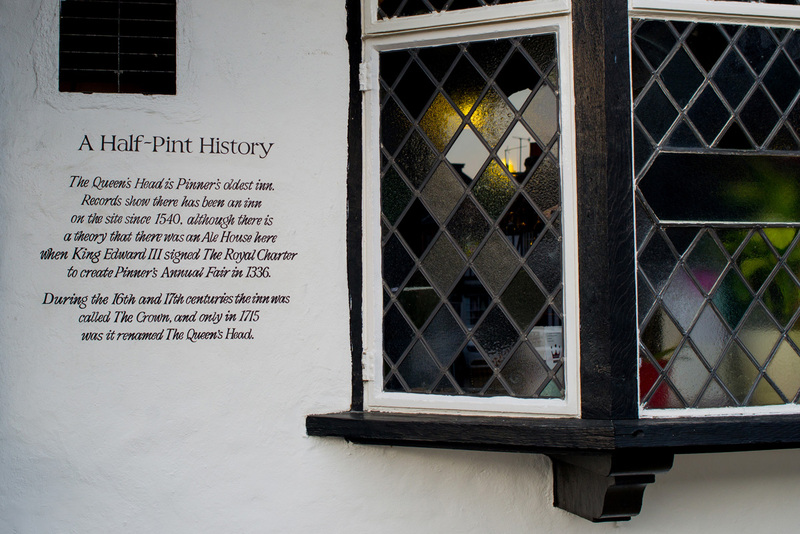 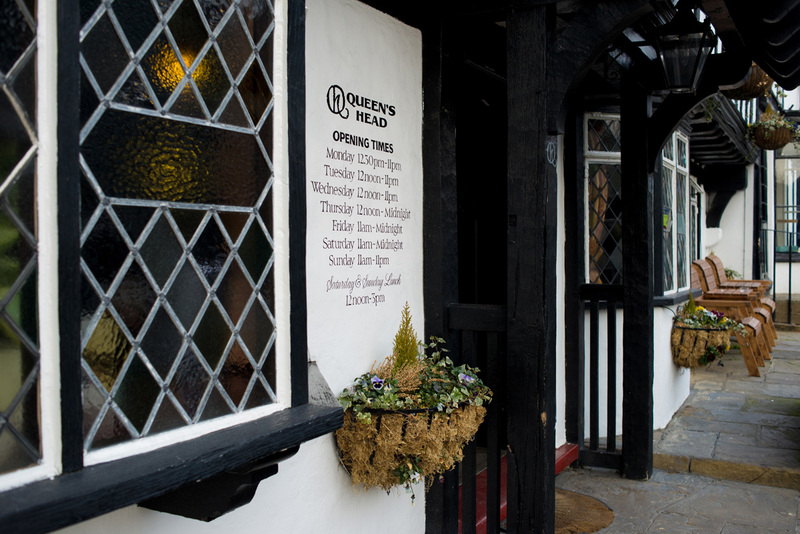 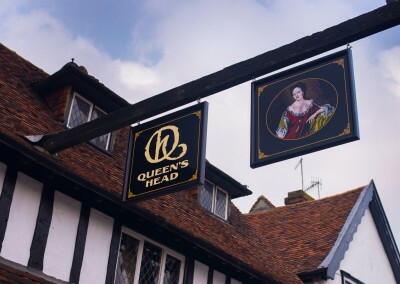 The Queens Head pub in Pinner is very old, dating back to at least 1540. 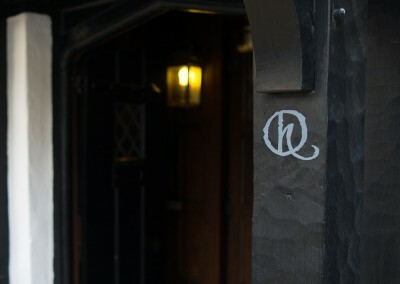 The owner wanted to update the signage, something that was a bit more modern, but looked traditional as well. 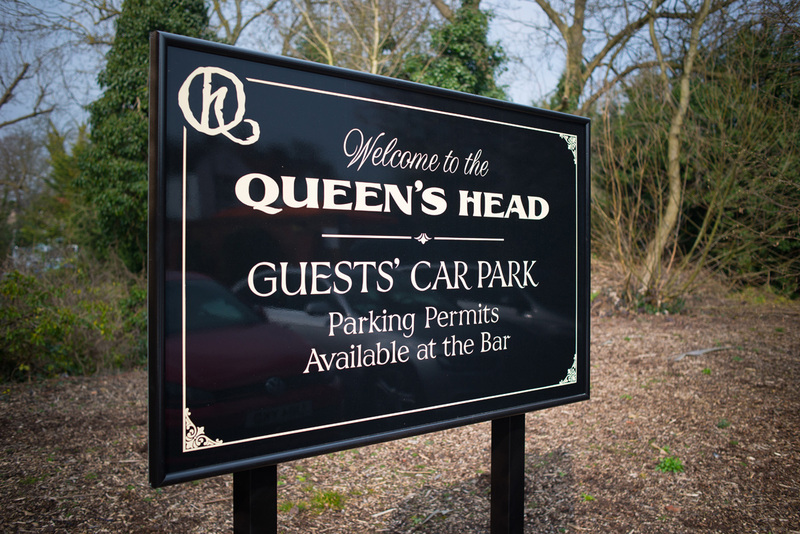 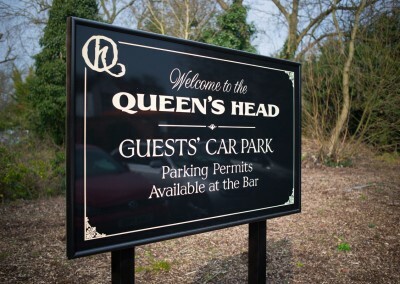 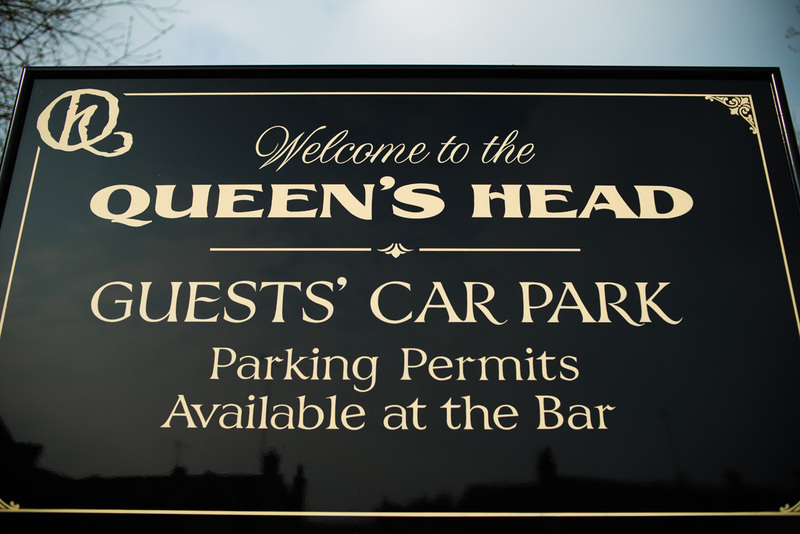 We first designed their new logo â€“ QH, it was first drawn with a pencil and scanned. 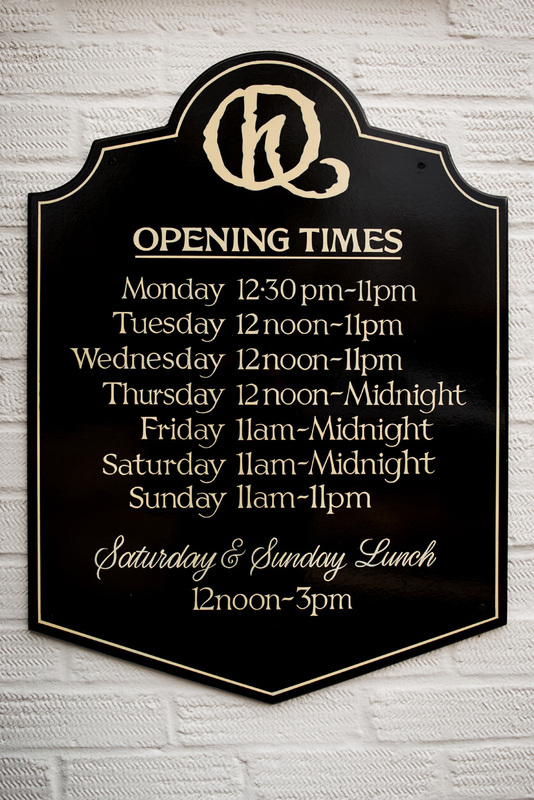 As well as being painted on the premises, the digital version is used on the website and can be used in various ways like posters, letterheads etc..
Over the last two years we’ve painted lots of external signs and internal lettering on the walls and doors around the pub. 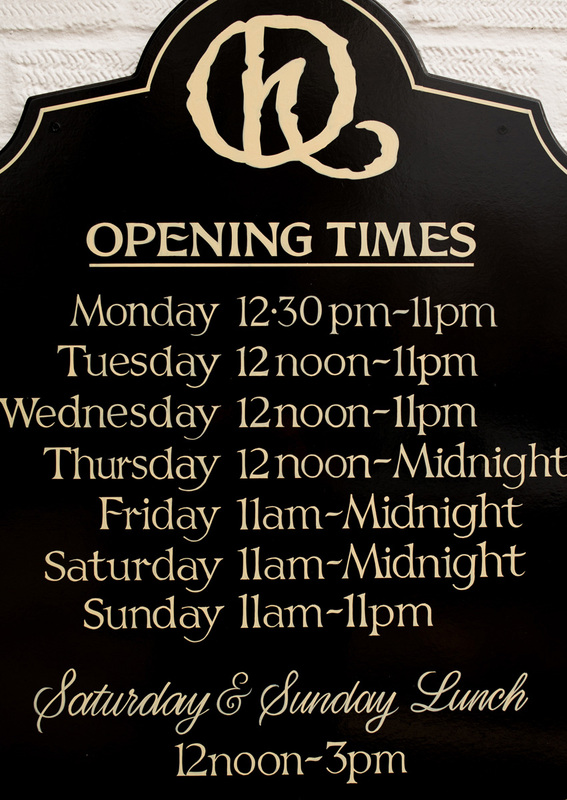 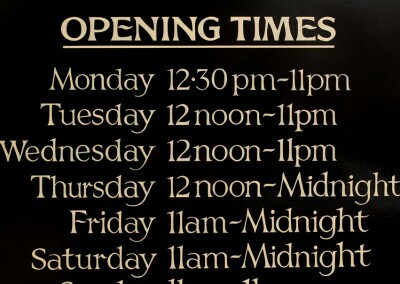 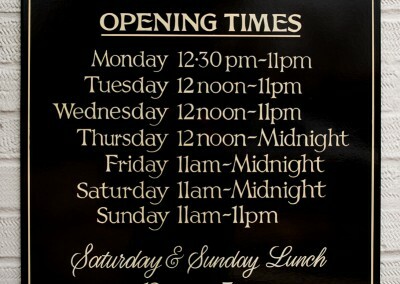 The first thing we did was some lettering on the outside wall with the opening times and a little bit of information about the pub, which the tourists like, they stop on the way into London and read it. 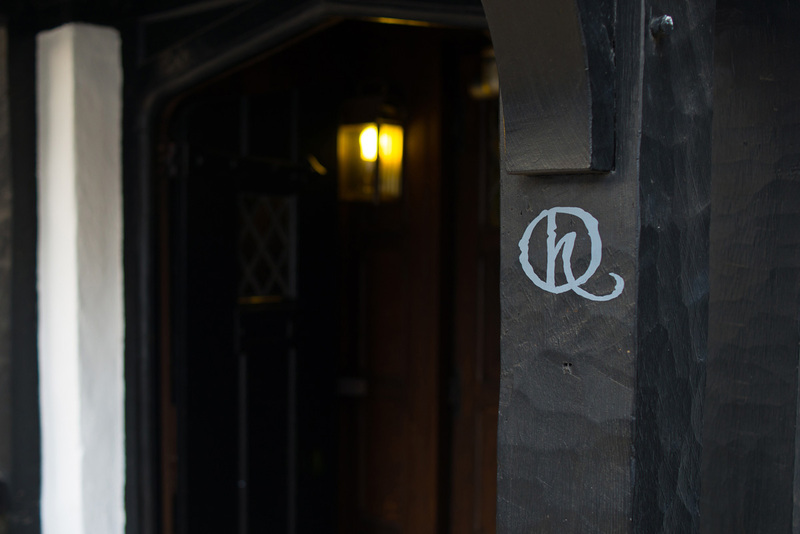 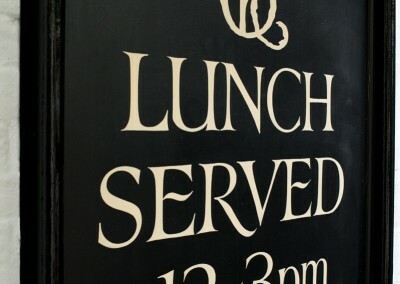 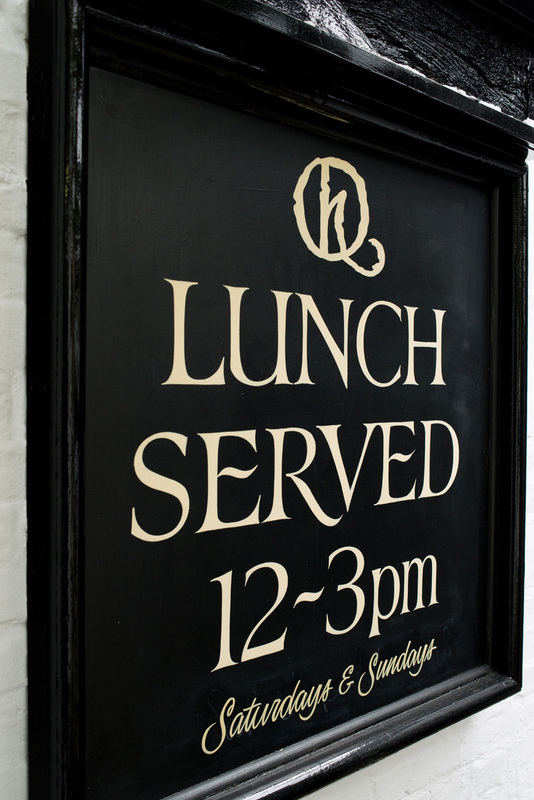 Weâ€™ve done quite a lot of internal signwriting in the pub, free hand roman lettering on the walls, mainly information and directions around the building. 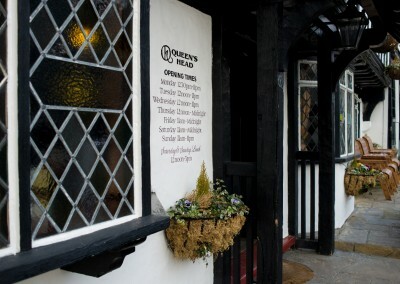 The paint we used for the inside was oil based, with a matt finish to compliment the surroundings.